with the FIA happy the concept is totally legal. There has been much intrigue in recent days about the mechanism that Lotus was reported to have tried out at the Abu Dhabi young driver test last year. It helps maintain a standard ride height during braking - when often the front of the car would dip down. Rivals teams are understood to have looked into the system and its legality over recent days - with a report in Gazzetta dello Sport this week suggesting it was driver adjusted by the use of a pedal in the *** No swearing ***. However, if the drivers were changing the ride height of the cars under braking then that would be a breach of the rules. Article 3.15 of the F1 Technical Regulations states: \"With the exception of the parts necessary for the adjustment described in Article 3.18 [the DRS], any car system, device or procedure which uses driver movement as a means of altering the aerodynamic characteristics of the car is prohibited.\"
AUTOSPORT can reveal, however, that the adjustment to the ride height - which improves aerodynamic performance and stability on the Lotus under braking – does not come from the driver. Instead it is reactive to brake torque and is linked directly to the suspension – so cannot be classified as a moveable aerodynamic device in the way that independent mass dampers were. The fact that the driver is not involved, and that the system is a part of the suspension, means it complies fully with the F1 regulations. AUTOSPORT understands that Lotus has been in liaison with the FIA throughout the development of the brake system, having first been proposed in 2010 and been given an official green light by the governing as long ago as January last year. With the FIA happy that the brake system is legal, it means that its main rivals will now have to propose their own systems to the governing body if they want to adopt such a concept for the forthcoming season. AUTOSPORT also understands that at least one front-running team has already submitted plans for a similar ride-height adjustment device to be used in 2012. 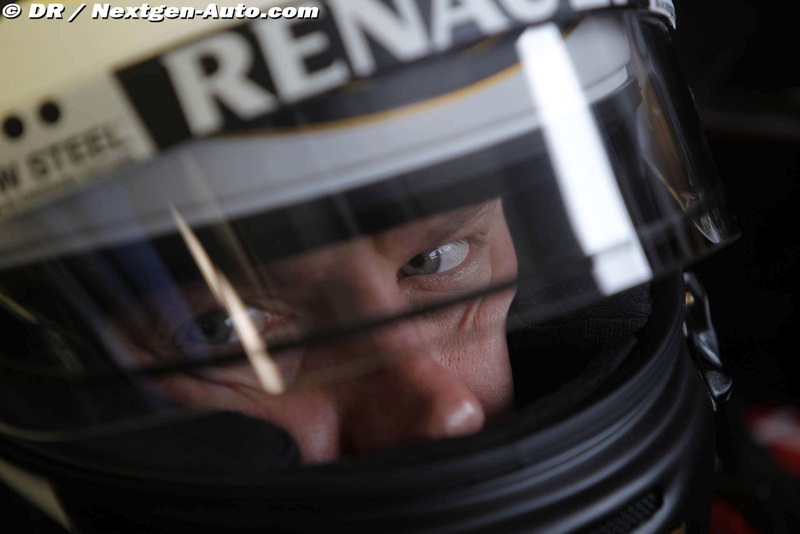 \"Kimi Raikkonen will return to Formula 1 action in a 2010-specification Renault at Valencia on January 23-24. 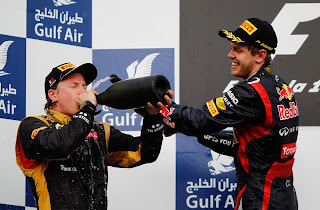 A Lotus team source has confirmed to AUTOSPORT that Raikkonen will have two days of running in the Renault R30 to re-acclimatise to F1 machinery after not having driven a grand prix car since the 2009 season finale in Abu Dhabi. The team has been working on scheduling a test since he was originally signed for 2012, as reported by AUTOSPORT magazine last month. While the two-year-old Renault cannot run on Pirelli's race rubber, it should at least give Raikkonen the chance to familiarise himself with the specification of tyre used for demo running. Raikkonen had a seat fitting at Lotus's Enstone base last week. Speaking last month, he said that he expects to have little trouble getting back up to speed.\"
F1-immigrant Kimi Räikkönen can once again train with full steam. On Sunday it was precisely 10 weeks before the opening GP in Australia 2012. On Saturday again it was 4 weeks when the new Lotus-driver hurt his left wrist after falling with the snowmobile in a show in Austria. They protected the hand with a spatula until the new year. – Because of the hurting wrist we had to change plans a little, but in practice we have been able to keep a short training program of one and a half day all the time, Räikkönen's fysio Mark Arnall explains. – All work on neck and legs have been fully taken care of - just as the endurance-side also. We have progressed in a very positive manner and Kimi is in a good stitch, Arnall assures. 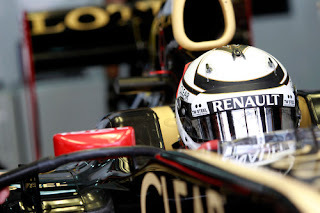 Räikkönen was in Lotus-Renault factory in Enstone on Thursday for a seat-fitting. – First it was a bit weird to sit in a *** No swearing *** with the helmet on after a long time. However I got used to it quickly and it has felt the same before too when being in a seat-fitting for a new car, Räikkönen confessed. The new car will be on the testing track on 7th of February in Jerez, but before that Räikkönen will get used to F1-driving by driving a Renault from year 2010 for two days during January 23-24th on Ricardo Tormo -track in Valencia. Räikkönen has often before started his winter testing after a few months winter vacation. Now he has had a break of two years and three months. – I think I will get used to driving itself after 10-15 laps but there's more to learn about everything else, Räikkönen thinks. Räikkönen gets to try this year's new Pirelli-tyres only after the winter testing has begun - meaning he will be on the same line as all the other racing drivers. Arnall has taken care of Räikkönen's training programs and wellbeing for ten years already, which is a record-long period of time in today's F1-racing. – We already know from before that we can do everything else except strenghten the neck muscles. They will strenghten to the level required only by driving a F1-car, Arnell emphasizes. Räikkönen has has for a several years in his home in Switzerland a driving vehicle built by Technogym, a vehicle that is as close to F1-driving as possible. – There the driver gets in the right driving position and the muscles are strained the same way as if he would drive on the track. Only neck muscles can't be strenghtened as much as with a real F1-car because of the lacking G-forces, Arnall said. Räikkönen has eight days before Australia's opening GP. After Valencia's private testing he will drive the first two days with the new car in Jerez and then four days later in Barcelona, where they divide driving tasks with French team mate Romain Grosjean. If there are no technical problems then he can drive 3500-4000 kilometers in eight days. – Eight days isn't much but that's what everybody else also gets. It sort of helps Kimi in a way that the track in Albert Park isn't one of the most toughest one. This way he will get three more driving days to strenghten his neck for places that are physically more demanding, Arnall thinks. World Champion Sebastian Vettel throws a challenge to Kimi Räikkönen who is now returning to the playfield. Vettel has finetuned his skills in badminton during the whole time Kimi has been in WRC. The men's challenge games in the badminton field have already been known for years. Vettel has never won Räikkönen in badminton but according to his longtime game-buddy Tommi Pärmäkoski, Vettel believes he will also beat Kimi on the playfield in future. – Sebastian asked me to say hello to Kimi, to tell him that he is ready whenever it suits Kimi. Sebastian has improved a lot during these two years and he believes that whereas Kimi is a bit rusty, he again is much more better than before. He boasts wondering if Kimi will even score one point anymore, Pärmäkoski said throwing more water on the challenge -sauna heater. – However Kimi is *** No swearing *** good and talented in every way, Pärmäkoski admitted. Kimi Raikkonen is really satisfied with his new F1 deal. Raikkonen's assistant Riku Kuvaja has gotten used to dampening Kimi related stories. Now you can hear the happiness in his voice and you can almost see the smile via phone. - Kimi is really satisfied with the deal, Kuvaja says happily. He will not reveal the financial value of the two year long Lotus Renault deal but admits that it matches the value of an ex-World Champion. 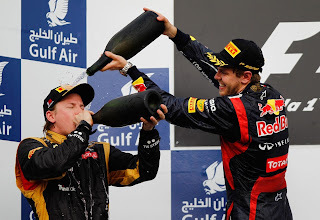 So Kimi got what he wanted. Raikkonen's dream of returning to F1 lived almost through all his time spent in WRC. In the end Kimi didn't get to drive rally long enough for it to have been realistic to wait podiums nor championship. - The desire to return to F1 kept growing all the time and in the end that lead to the negotiations and to this deal, Kuvaja says. There were negotiations with several teams but according to Kimi's assistant the decision came easy. 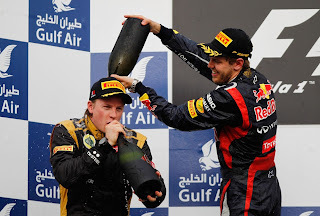 That was influenced both by Kimi's role in the team and the finacial side. But the most important thing was the return itself. Former grand prix driver Jean Alesi believes the Lotus Renault team will get a boost from the arrival of Kimi Raikkonen. The 2007 world champion has signed a two-year deal with the team and will return to grand prix action in 2012 after leaving the sport at the end of the 2009 season. 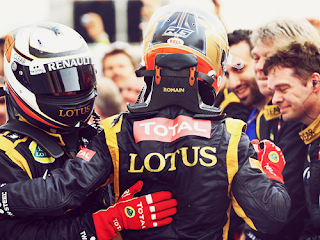 Alesi believes the arrival of Raikkonen is great news for Renault, which will race under the Lotus name next year. 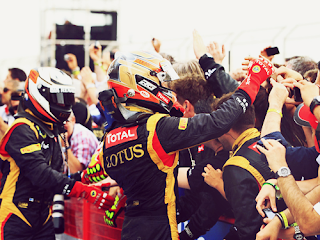 \"It's fantastic news,\" said Alesi, now working as an ambassador for Group Lotus. \"Kimi has more natural speed than just about anyone who has ever raced a Grand Prix car, and if he's coming back it's because he wants to do it, he misses F1, and he believes he can do well. \"He has had a short break, which was a little bit forced by Ferrari. I think he was fed up with the system and wanted to take time out, which I can totally understand. But now he's coming back, with Lotus, so it's really exciting. Alesi expects Raikkonen to be able to get the maximum out of next year's car despite his absence from Formula 1. He added: \"The great thing with Kimi is he extracts the maximum from a quick car. When the car was good at McLaren and Ferrari he was always winning. LRGP will expect him to extract the maximum from the Lotus as well.\"
The Frenchman reckons that Raikkonen's natural speed will be a \"very valuable\" to help the team move forward. \"F1 teams need a driver who will consistently set laptimes that are 100 per cent on the edge,\" he said. 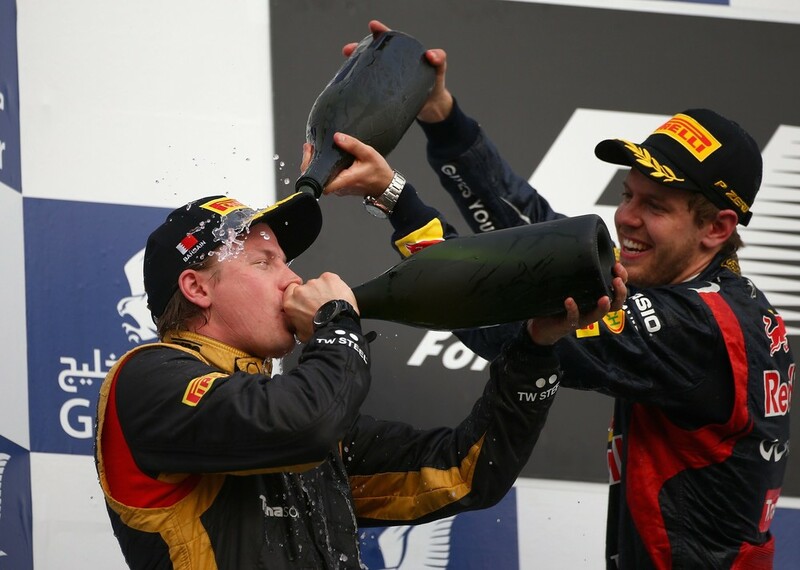 \"That is what a driver of Kimi's caliber can do, to dance on the edge and never fall off. From that, the engineers get a baseline. \"They understand the true speed of their car and can make changes accordingly. It eradicates any doubt. I expect Kimi will be a very valuable tool indeed. But I don't expect a lot of talking outside the car! I'm sure he hasn't changed a bit.\"
ADAC Rally Deutschland is a rally that takes place on tarmac but also on concrete, again, a new surface for Raikkonen. However, the German rally meant one of the high points in the Finn’s rallying career. He won his first WRC-stage on the streets of Trier. It was a short super special stage, the kind of stage he can memorize easily and, therefore, not depend on the pacenotes. Moreover, the stage also took place on clean tarmac which also helped Raikkonen. In this rally, it is also remarkable the good results the 2007 F1 world champion achieved in the famous Panzerplatte stage: a mamouth 48-kilometres-long stage that runs along a road whose sides are marked by the dreadful “Hinkelsteine”, sharp rocks that are placed to help tanks stay on the road and that have caused some very spectacular accidents in the past. Raikkonen obtained the 8th best time the first time through the Panzerplatte and the 6th best time the second time through. After being involved in a couple of little dramas during the rally, Raikkonen finished in 7thposition, 8 minutes and 50.5 seconds and 1.31 seconds per kilometre behind Loeb. Following Germany, the Finn went through a very bad patch. He crashed out during Rally Japan and Rallye de France. And he couldn’t even start Rally Spain. The Iceman rolled his car during shakedown and damaged the roll cage which automatically meant he was not allowed to start the rally. The only positive point during this time was when he won Rallye du Vosgien, a national French rally he entered to prepare for Rallye de France. After hitting a low point in Spain, only the last rally of the season was left, and that was Wales Rally GB. This rally takes place mostly on mud, a very slippery and tricky surface on which Raikkonen had almost no experience and which, he admits, he does not read very well: he cannot predict the amount of grip he is going to find at each corner. Nevertheless, he drove to the end of the rally with a steady pace – 1.82 seconds per kilometre off the pace of the rally winner – and was not involved in any kind of incident. He was rewarded with four points for his finish in 8th position, 10 minutes 27.9 seconds behind the winner, Sebastien Loeb. Raikkonen finished the championship with 25 points in 10th position. Lindström: "F1 is Kimi's world"
To Kaj Lindström the news about the return to F1 did not come as a surprise. Lindström doesn't want to specify when Kimi told him about his decision. Lindström didn't try to talk the F1-champion out of it. - It was Kimi's decision, I respect it. Great that he got a good contract, Lindström said to Iltalehti. According to Lindström Räikkönen would have had a chance to go forward in rally if he had decided to continue in the sport. Lindström has earlier talked about rally as at least a 4-year project if the goal is to succeed. The co-driver doesn't fret though that the cooperation ended. - We went year at a time, that was clear from the start. You don't instantly jump to the top. There was two great and sweet years. It was nice to work and drive with Kimi, Lindström thanked. Although Räikkönen was believed to enjoy himself better in rally's more barren environment than in F1's society, according to Lindström that is not exactly the case. - F1 is his world. I think he might be more comfortable there. Lindström learned to know Räikkönen during the two years. That's why he's going to follow next F1-season with a special interest, with \"very different feelings\". Predictions about success he is not going to give though. - I had to compare the sports for two years until boredom, although I have never sat in a F1-car, so it's difficult to comment on that. The driver at least is talented, so I'm pretty sure he'll do fine, Lindström laughed. Rubens Barrichello agrees with Sebastian Vettel that Kimi Raikkonen might struggle to re-adapt to formula one. World champion Vettel said this week he can imagine “it would be very difficult to return straight away to the same level as before” after a two-year absence from F1. Brazilian Barrichello, who was an outside contender for the Lotus Renault race seat now occupied by the 2007 world champion and Finn, agrees. “We only have the example of Schumacher,” said the 39-year-old, referring to Michael Schumacher who struggled last year when he returned to F1 after a three-year retirement. “If there was someone who we could be sure would walk back in and be there (on the pace), it was him. “They (Raikkonen and Schumacher) are different so you can’t say whether it will be easier or harder (for Raikkonen),” Barrichello is quoted by Brazil’s Globo. F1 chief executive Bernie Ecclestone said Raikkonen’s return is good news. “I am really happy to see Kimi again where he belongs, in Formula One,” the 81-year-old is quoted by German news agency DPA. Räikkönen's helmet, designed by UffeDesigns, almost never changed from team to team (letting only some elements like the insignia on top, that shaped after the rune that means \"protection\". The insignia was painted in white during his time racing for Sauber and Mclaren until 2005, and red from 2006 with McLaren and during his time with Ferrari. His helmet has also always featured a V design running on the circle top -representing a bird flying - and the inscription \"Iceman\"). In his debut race, his helmet was predominantly blue with white and silver details. When he joined McLaren in 2002 the design was left intact, only making the top circle all blue (rather than blue and silver) and with some black details on the chin area. In 2003-2005 his helmet was blue and white with some red and silver parts, red details were added on the rune symbol that was added to the M design. In 2006 his helmet was the same, only changing the blue to black with red and white lines on it. When racing for Ferrari Raikkonen's helmet changed radically: it was white with the middle part black and red with tribals and a black circle with the rune design in the top, in 2008 black paisley motifs were added in the red areas. He retained this design in some rallies, although the helmet style was significantly different for this discipline. In WRC and NASCAR he used a blue Stilo helmet with Red Bull's logo, silver accents (to resemble Red Bull's can design and Raikkonen's Sauber helmet lines), the rune symbol and the M insignia (in white and red) and with the inscription \"Iceman\". After skipping Rally New Zealand due to the high costs associated to rally Down Under, the next event in Raikkonen’s schedule was the Vodafone Rally de Portugal, another gravel rally. It became the 3rd event in a row that the Finn finished a WRC rally in the points. He finished 10th, 11 minutes 34.3 seconds behind his teammate Sebastien Ogier. He made a few mistakes that cost him some time and his overall pace was 1.81 seconds per kilometre slower than Ogier. Before facing the first tarmac rally of the WRC season, Raikkonen and Sebastien Ogier took part in the Rally della Lanterna, a rally that is part of Italian Tarmac Rallying Championship. This was the Finn’s first podium in his short rallying career. He finished the rally in second position, just 5.7 seconds behind Ogier in what was his first experience ever with tarmac in a Citroen C4. The next rally of the championship was the only one where Raikkonen had some previous experience: the Neste Oil Rally Finland. In 2009, he took part in the event with his Fiat Punto Grande S2000 prepared by Tommi Makinen. He was 3rd in his class when he rolled out of the rally in SS19. His effort in 2010 went only slightly better. The Finn went off into a ditch in SS12 and lost a lot of time, but at least, in this occasion, he could drive his home event to the finish line, even if he finished in 25th position, 23 minutes 15.3 seconds behind his fellow Finn Jari-Matti Latvala, who won the rally. In the fast gravel stages of Finald, Raikkonen reduced his difference in pace to the rally winner to 1.38 seconds per kilometre, confirming his progressive improvement on gravel.Next, he went to Rally Bulgaria, another new rally on the WRC calendar. A few things became clear during this rally: Raikkonen is much faster on tarmac than gravel – he was only 0.54 seconds per kilometre off the pace, and in some splits he even was the fastest of all drivers – he crashes easily in slow tight corners and he has the tendency to crash out on his side of the road. Up to this point the Iceman seemed to be able to evaluate braking points in the high-speed passages very well, but not so well in slow turns where he tended to go off the road. Some experts think his tendency to get off the road when he makes a mistake arises because the Finn only steps once on the brakes when approaching a corner, a much more time-effective way of braking but much more risky: if he brakes too late, he is automatically off the road. Some of the experts also think he can evaluate the braking points at high speed better because of his past in Formula 1. His tendency to crash out road on the left side of the road is a curious one; a common joke in the rallying world is that you better crash on your co-driver side of the car since, well, he is just the co-driver. Raikkonen seems to prefer taking risks when he is the one who might get the hit, though. And this is what happened in a hairpin in SS4, Raikkonen was a few kph too fast in a very slow right turn and, very slowly, rolled off the road. It was a minor accident given that it happened at very low speed, but the car ended up upside down in a deep ditch covered by vegetation and the automatic alarm system went off, making the organizers stop the stage immediately and send an ambulance to the accident point, just to find the driver, without a scratch, merely standing on the floor of his car. Raikkonen re-entered the rally the next day, with 10 minutes superrallying penalties and ended the event in 11th, 14 minutes and 6.4 seconds behind Loeb. "It was a shock to me that he's going to be racing for the team he is,\" said Button. \"I was really surprised when they announced Kimi. I thought he had a chance at Williams. \"I think it's really good for the sport. As a driver, he's very, very competitive. If he really wants to race, he's going to be quick. \"From what I've heard from the engineers at McLaren, he knows what he's doing in terms of engineering and setting up the car. \"It's good to have him back and the races will be more fun and obviously the evenings after the races will be more fun...\"
\"Ex-Ferrari Driver Ivan Capelli thinks that it's great news for F1 that Kimi Raikkonen returns. Raikkonen drove rally for the past two years but failed to succeed. - Kimi raises the level of competition by coming back with a desire to get full atonement for his purgatory, Capelli assesses. - He made a brave decision because his new team is far from a brilliant one but he is the one who can go past the technical difficulties by instinctively driving his car, Capelli says. Capelli who drove for Ferrari in 1992 still puts Raikkonen in the same leaque with the current top drivers. - The Finn is fast and he posesses the same instinctive car control that Vettel, Alonso and Hamilton have.\"